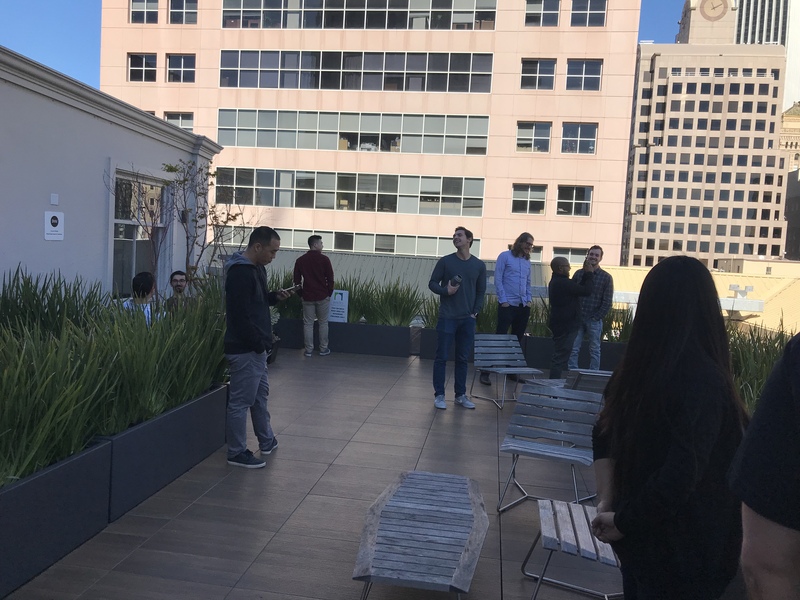 On Monday, March 26, the Sauce Labs team moved into a new headquarters at 116 New Montgomery Street in San Francisco--the Rialto Building. Our new HQ has a ton of interesting history, so read on for some fun facts about the building and how we’ll be using it! This building is one of the earliest examples of a large floor-plate office building in San Francisco. After the 1906 earthquake and fire, many of the original architectural components in the main lobby were restored, including a bronze staircase, ornate metal elevator doors, painted panel ceilings and more. Of course, it’s also been modernized… and we’ve put our own personal spin on how our floor looks! The building is now a historic landmark, and we plan to make history again with the world’s largest Continuous Testing cloud. Speaking of modernization, the Rialto Building features quite a few environmentally conscious advantages, which was important to us in choosing the building. The building itself has a LEED Platinum rating, which means it’s certified as a green building. In May 2010, the Rialto earned the EPA’s ENERGYSTAR rating by performing in the top 93rd percentile of buildings nationwide. Motion sensor-based lighting systems mean we will consume less energy, and we’ve also installed beverage machines to ensure we’re doing our part to reduce plastic usage. The Sauce Labs team has always enjoyed perks like catered lunches three days per week and free yoga classes, as well as bike-friendly and dog-friendly office spaces. Those things haven’t changed, but now we have almost 50% more space to accommodate our growing team! We’ve got ergonomic desks for everyone’s comfort, more conference rooms, access to a bike room with shower facilities and a large shared deck with city views. We also have a large meeting area that we’ll use to host local meetups and other events that promote diversity in technology. Plus, the new office is now only a block and a half from public transportation, which is a huge help for those commuting to the office. We are excited about our new space, and hope you’ll get the chance to see it. In the meantime, let us know how we can help you #TestAllTheThings().